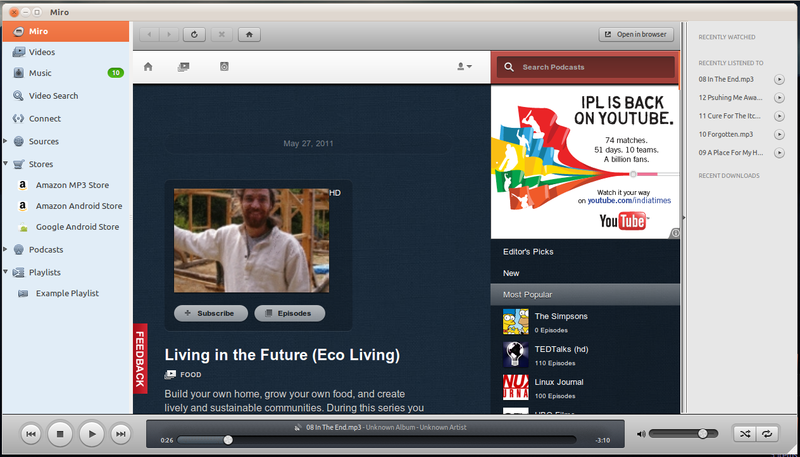 You can configure Miro to watch your audio and video folders. 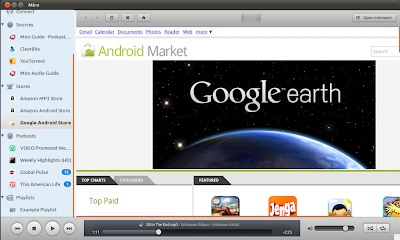 It will automatically add these files to your library. 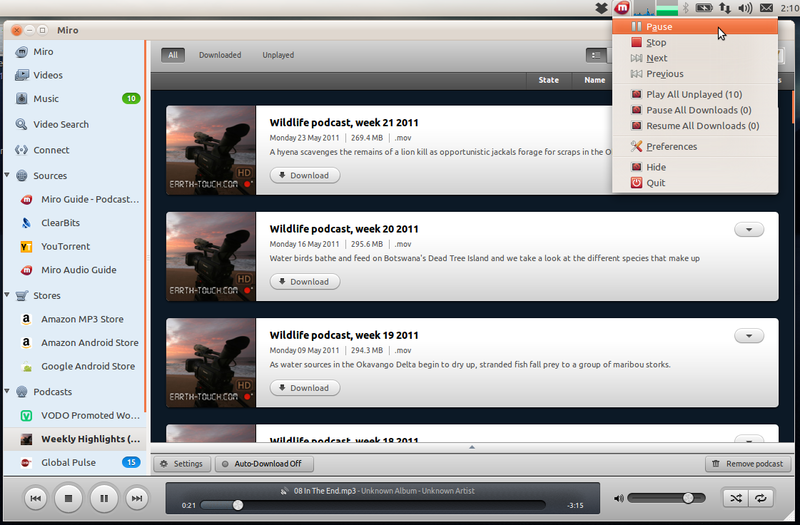 The interface for managing media library has improved and is now more intuitive. 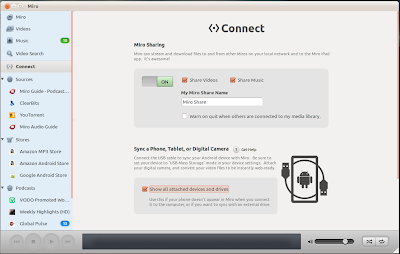 If more than one Miro is running on your local network, you can share your Music and Videos. 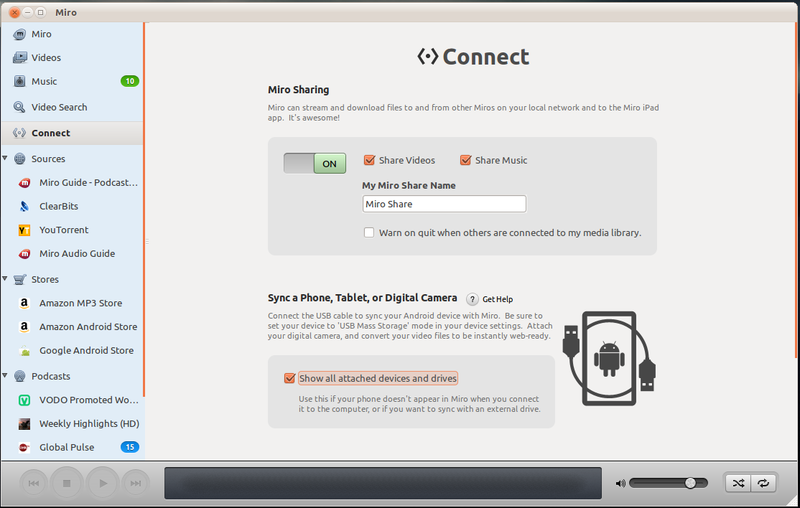 Miro can sync to lots of devices, including any Android phone or tablet. Miro will even convert video files to the right format to play on your phone. 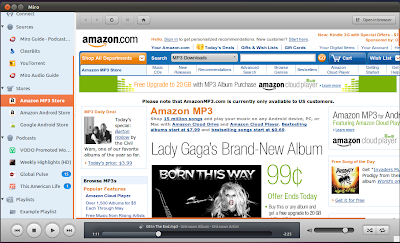 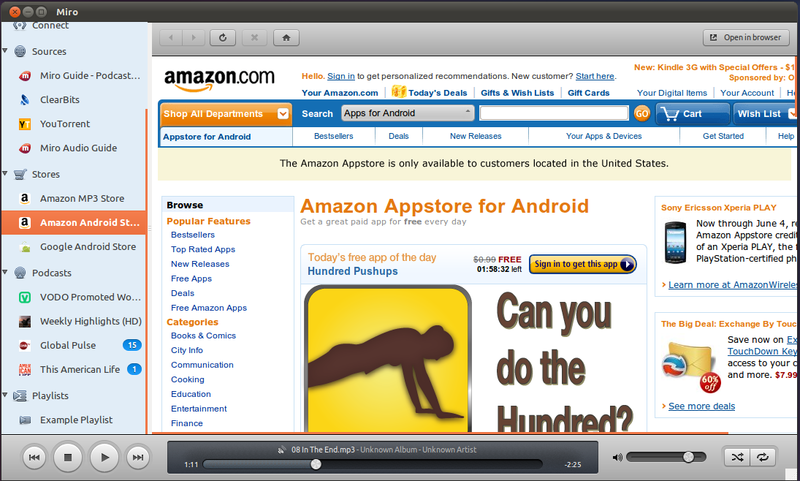 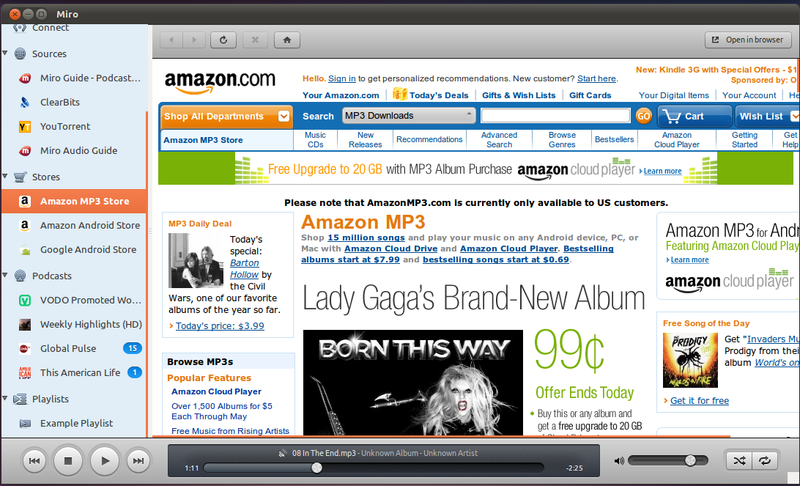 Miro 4 comes with Amazon MP3 Store, Amazon Android App Store and Google Android App Market. 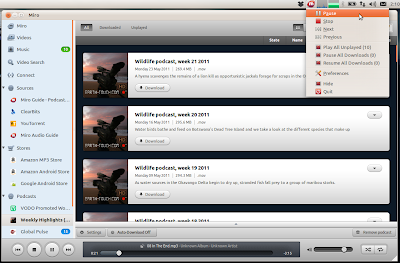 Works perfectly with Ubuntu 11.04 Natty Narwhal.